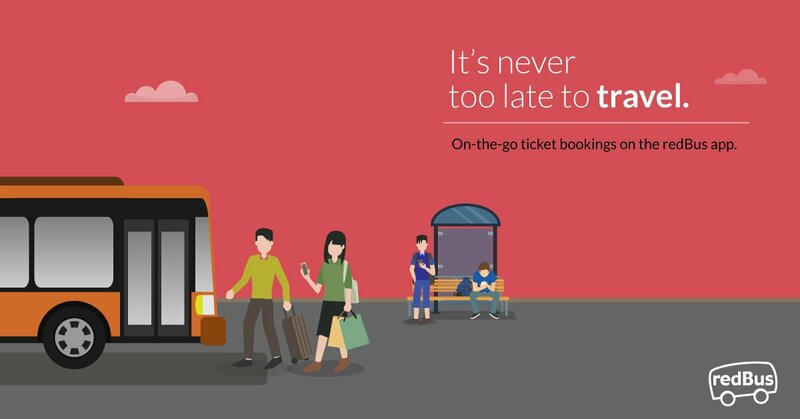 Redbus is an online bus booking website which lets you book buses easily in just 5 minutes. Now forget those old days when you used to rush to local agents for booking tickets. 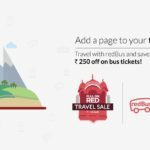 RedBus was probably the first & most popular startups across India in the field of online travel booking. They charge ZERO transaction fees and this makes Redbus stand higher among their competitors. To get additional discounts on your tickets, we are here to provide you latest redbus coupons of September 2016. Use their mobile app for your 1st ticket booking of 300 Rs to get instant 150 Rs discount. Apply coupon code APPCBSEP to get 15% cashback (max 250 Rs) on bus booking. Min ticket value of 400 Rs is necessary & code is valid till 9th September 2016. Offer terms & conditions are same as mentioned above, but it’s valid on desktop version too. Ask you friend to download Redbus app and sign up with your referral code. He’ll get 200 Rs after sign up. When he takes his first ride worth Rs 400, you will earn 200 Rs. This way you can earn upto 1000 Rs just referring your friends. 1] Pay with freecharge wallet and get 10% cashback (max 50 Rs). Offer is valid only once per user till 5 September 2016. 2] CB250 : Get 15% cashback on north & west travels (max 200 Rs). On south routes, you’ll get 5% cashback upto 100 Rs. Coupon code : RBHOTELS60 (max 4000 Rs discount), valid till 29th September.